Photo credit: Inf-Lite Teacher. Shared under a Creative Commons license. Click for more information. A new study finds that bias-based bullying does more harm to students than generalized bullying, particularly for students who are targeted because of multiple identities, such as race and gender. What’s more, the study finds that efforts to mitigate these harms are less effective against bias-based bullying. The researchers looked at data on 678 students between the ages of 12 and 18 from around the country. The data stem from the School Crime Supplement to the Department of Justice’s 2015 National Crime Victimization Survey. 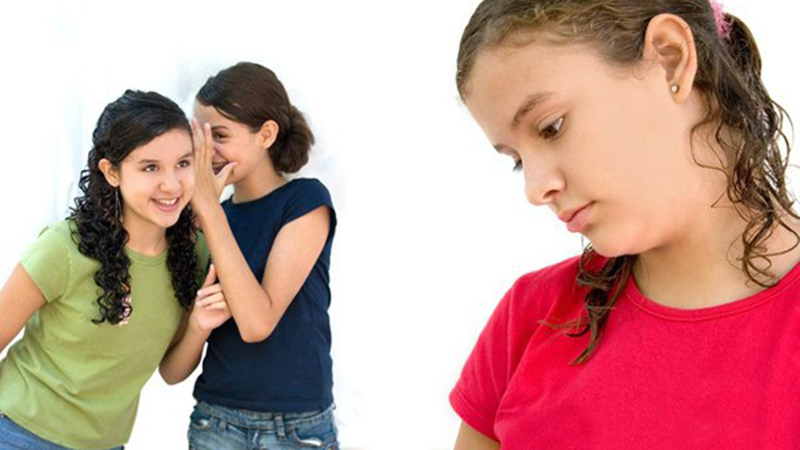 Four hundred and eighty seven of the students reported generalized bullying. One hundred and seventeen students reported experiencing one type of bias-based bullying, with gender, race and disability being the most common categories targeted. Sixty-four students reported multiple bias-based bullying, with race and ethnicity being the most commonly targeted categories. For example, social support from teachers, family, community members and peers did nothing to help victims of bias-based or multiple bias-based bullying – though it did help victims of generalized bullying. And school safety and security measures did not alleviate adverse outcomes for victims of multiple bias-based bullying – but did mitigate harms for victims of single bias-based bullying and generalized bullying. The paper, “Understanding Experiences with Bullying and Bias-Based Bullying: What Matters and for Whom?” is published in the journal Psychology of Violence. The paper was co-authored by Seçil Gönültaş, a Ph.D. student at NC State; Adam Hoffman of the University of Michigan; and Shauna Cooper of the University of North Carolina at Chapel Hill. Abstract: Objective: Using data from the 2015 National Crime Victimization Survey (NCVS) School Crime Supplement (SCS), this study examines differential outcomes for youth who report non-bias-based bullying, bias-based bullying on the basis of one social identity, and bias-based bullying on more than one social identity. Method: Data was gathered from youth ages 12-18 who reported experiences of bullying (N = 678, 44.2% male). The study tested outcomes regarding 1) rates of afterschool activity participation, 2) participants’ self-reported fear and 3) self-reported school avoidance and the relative impact of mediators (the negative effects of bullying, participants’ perceptions of school safety, social support and school fairness) across three types of bullying experiences. Results: Results demonstrate that perceptions of school safety, social support and school fairness generally buffer youth from the negative effects of bullying, but that these relationships differ depending on whether the victim experiences non-bias-based bullying or bias-based bullying and depending on if they are targeted because of one or multiple facets of their social identity. Further, results indicate that youth who experience bias-based bullying based on multiple social identities report more negative outcomes of bullying and higher levels of school avoidance and fear than those students who only report one type of bias-based bullying and those who experience non-bias-based bullying. Conclusions: The findings have implications for how schools should implement interventions that address bias and prejudice in bullying and should tailor interventions to the unique experiences of youth who report bias-based and non-bias-based bullying. I concur and would like feedback on my book that target bullying in the workplace and school. Additionally, I discuss the affects of trauma and life’s significant emotional events that can have PTSD related consequences.